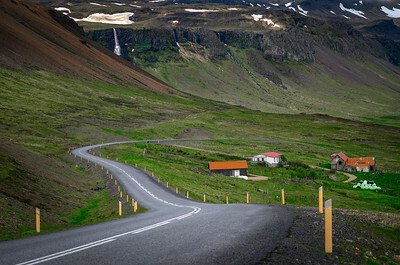 Farm houses by a winding road that crosses the hills and mountains of the Snaefellsnes peninsula in southwest Iceland. 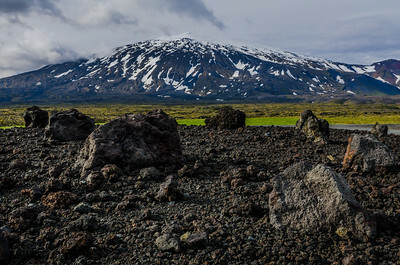 Boulders in a lava field in front of the Snæfellsjökull volcano - famous for it's role in Jules Verne's "Journey to the Center of the Earth" - located on the Snaefellsnes peninsula in southwestern Iceland. 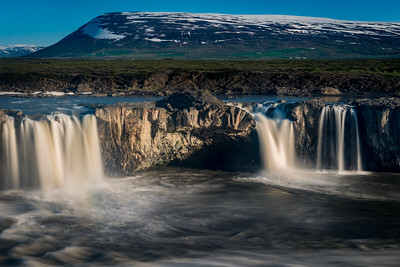 According to local myth, it is said that upon returning from the Icelandic parliament in the year 1000, the local lawspeaker Thorgeir Ljosvetningagodi Thorkelsson threw his statues of Norse gods into the Godafoss waterfall thereby making Christianity the official religion of Iceland. 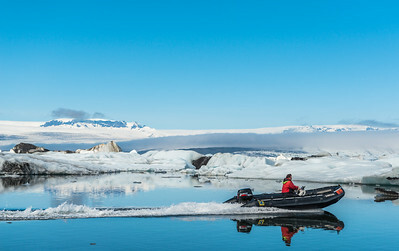 Tour company employee driving a Zodiac boat on the Jokulsarlon glacial lagoon. Employees search for dangerous icebergs (mostly hidden underwater) in the path of the larger vessels filled with paying customers. 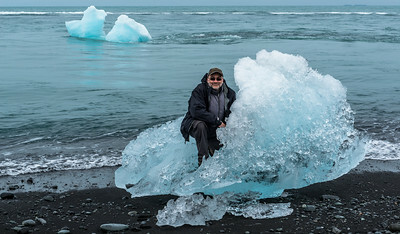 Self-portrait standing on an iceberg on the Black Sand Beach of Jokulsarlon in south Iceland. 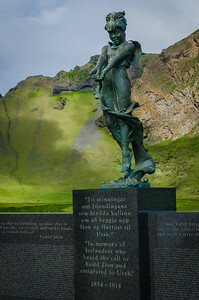 The town of Heimaey rests at the foot of a mountain in the Westman islands, located off the south coast of Iceland. The beach where the Turkish Abductions (Icelandic: Tyrkjaránið) started. These were a series of slave raids that took place in Iceland between June 20 – July 19, 1627. Geysir (also known as The Great Geysir), is a geyser in southwestern Iceland, in an area known as the Golden Circle. The English word "geyser" derives from Geysir. 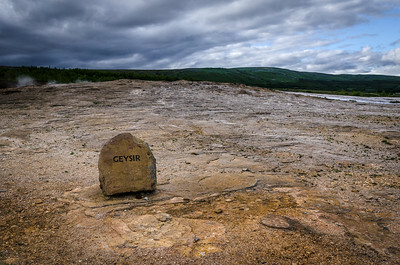 Geysir is in the Haukadalur valley and about 50 metres north of the popular tourist attraction Strokkur geyser. 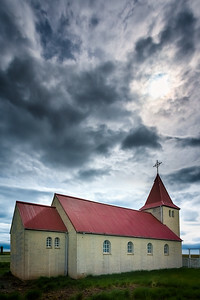 Akureyrarkirkja ("The Church of Akureyri") is a Lutheran church in the town of Akureyri in northern Iceland. 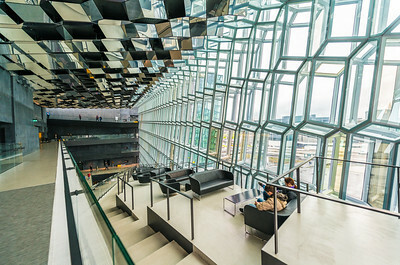 Located in the centre of the city, it was designed by Guðjón Samúelsson, and completed in 1940. 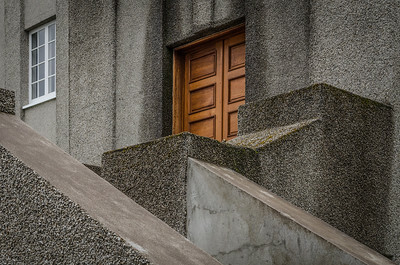 View of cement walls and staircase and a wooden door on a building in Rejkavik Iceland. 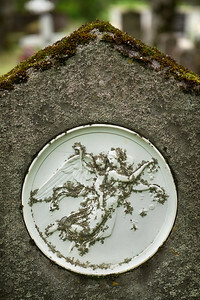 Moss grows on the inlaid medallion of a tombstone in the Hólavallagarður cemetery in the Icelandic capital of Reykjavik. 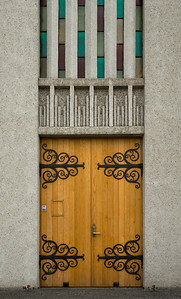 The front door of the Akureyrarkirkja ("The Church of Akureyri"). 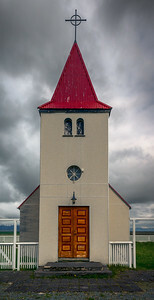 This is a Lutheran church in the town of Akureyri in northern Iceland. 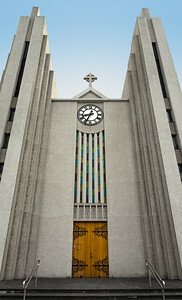 Located in the centre of the city, it was designed by Guðjón Samúelsson, and completed in 1940. 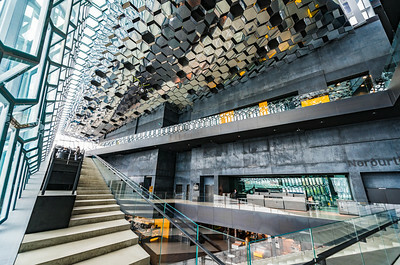 Interior view of the incredible architecture of the Harpa Concert Hall in Reykjavik, Iceland. 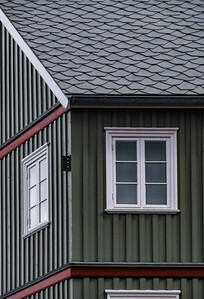 The corner of a buiding in Reykjavik provides an example of classic Icelandic architecture. 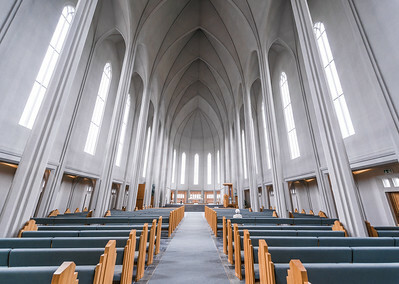 Inside view of the Hallgrímskirkja Lutheran (Church of Iceland) parish church in Reykjavík, Iceland. 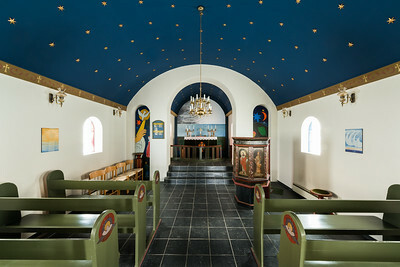 Inside view of a small church near the southern coast of the Snaefellsnes peninsula in southwestern Iceland in summer. 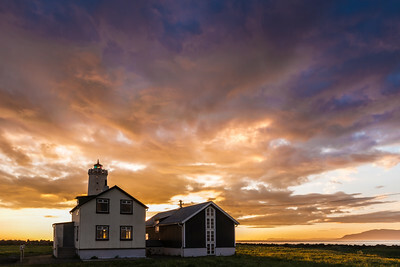 The lighthouse on Grotta Island, near Iceland's capital Reykjavik, backlit by the midnight sun setting over the North Atlantic. 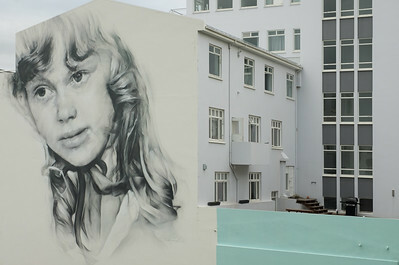 A mural portrait of a young girl by artist Guido van Helten adorns the side of a building in the city center of Akureyri, northeastern Iceland. 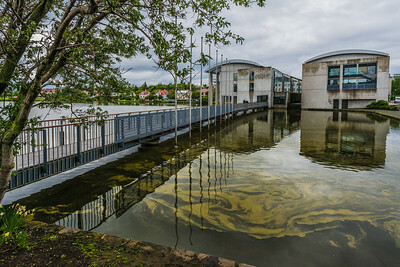 Elevated pathway over a pond leading to the City hall in Reykjavik Iceland. 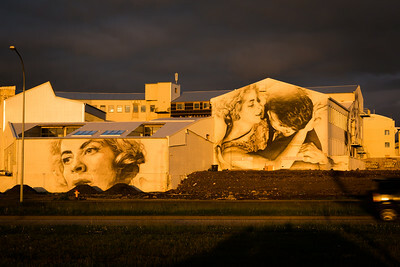 Large scale series of murals by artist Guido van Helten on the Loftkastalinn building, a former theatre, now housing film and design production studios in the Old west side of Reykjavik, Iceland. The artwork was inspired by images from the archive of the Reykjavik museum of photography of the 1961 theatre production ‘no exit’ by Jean Paul Sartre. 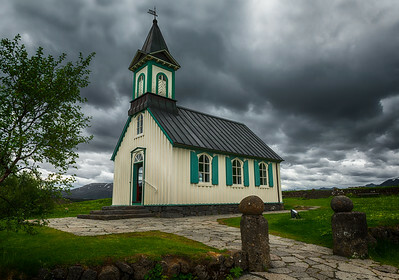 A tiny church isolated in the countryside of the Snaefellsnes peninsula in western Iceland. 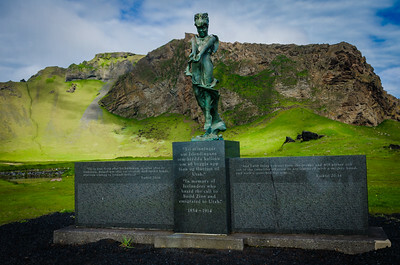 Statue on Heimaey island commemorating the Icelandic Mormons who emigrated to Utah starting in the mid-19th century. 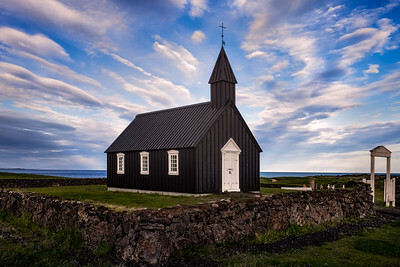 Side view of the small black church of Budir, on the south coast of the Snaefellsnes peninsula in western Iceland. 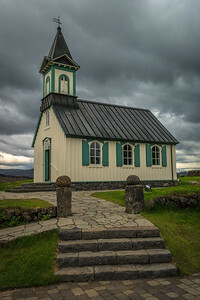 A small church near the site of the first Icelandic parliament in Thingvellir National Park, Iceland. 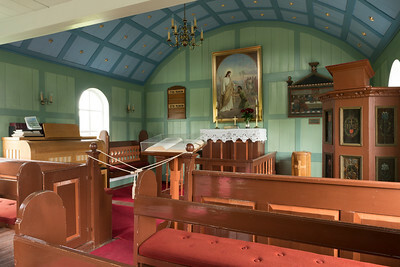 Inside view of a small church near the site of the first Icelandic parliament in Thingvellir National Park, Iceland. 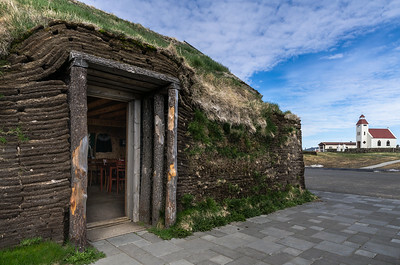 Traditional Icelandic sod house near a small church at the Fjalladýrð tourist service in Möðrudalur, north Iceland. 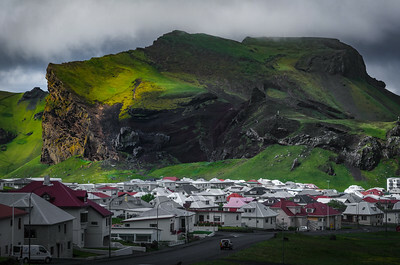 Detail view of the town of Stykkishólmur on the northern edge of the Snæfellsnes peninsula in Iceland. 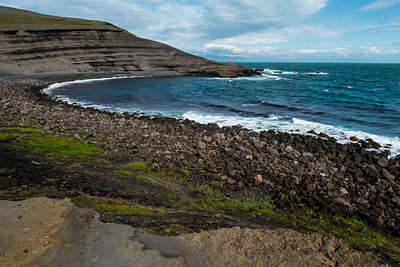 It is on the Breiðafjörður fjord, and is connected to the Westfjords by ferry. 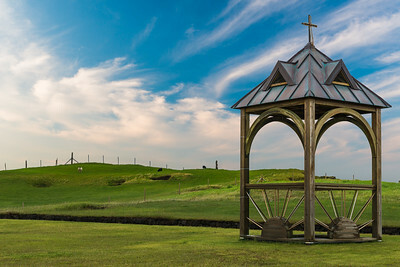 Small wooden shelter at the edge of the cemetery in front of a farmer's field where sheep graze on the Reykjanes peninsula in southwestern Iceland. 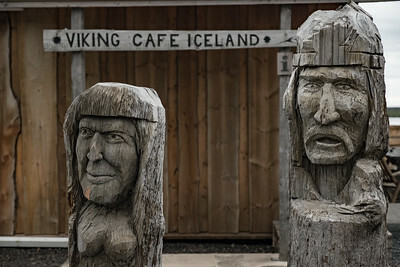 Log sculptures stand in front of the Viking Cafe in Stokknes Iceland, at the gateway near the famous Versturhorn mountain. 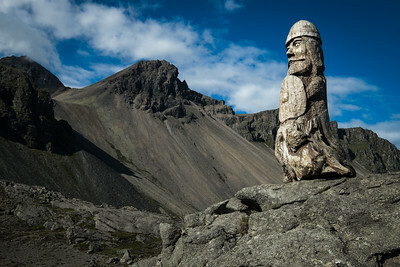 A log sculpture stands on a mound near the road to the Viking Village in Stokknes Iceland, near the famous Versturhorn mountain. 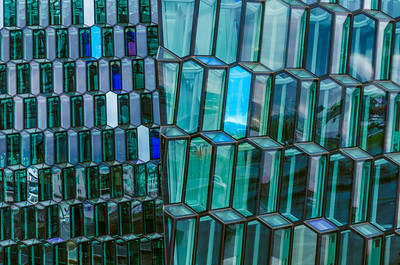 Detail view of the windows of the Harpa concert hall in Reykjavik Iceland.